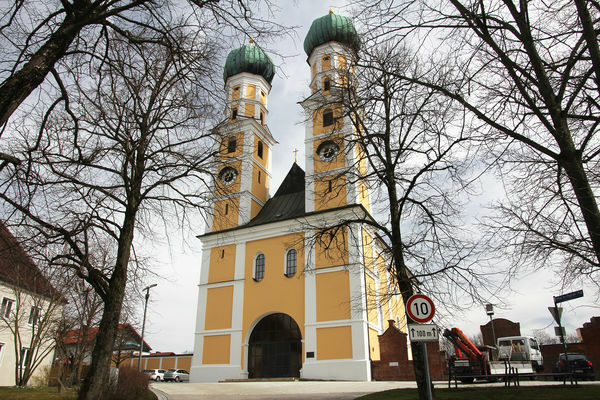 The monastery was placed under the patronage of Saint Gertrude of Helfta. This was built in the autumn of 1998. 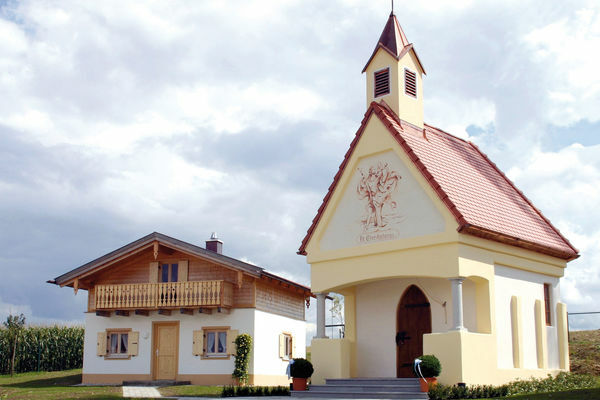 The chapel built in honour of the Rottaler saint quickly became a kind of place of pilgrimage. From there you have a wonderful view over the rural Rottaler downs. 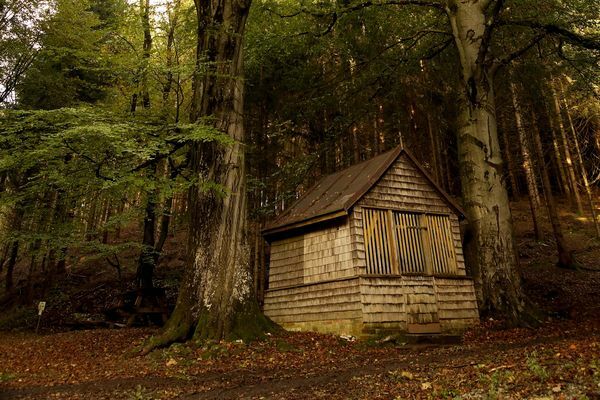 As early as the middle of the 12th century, the small St John's Church was built in Aunham. 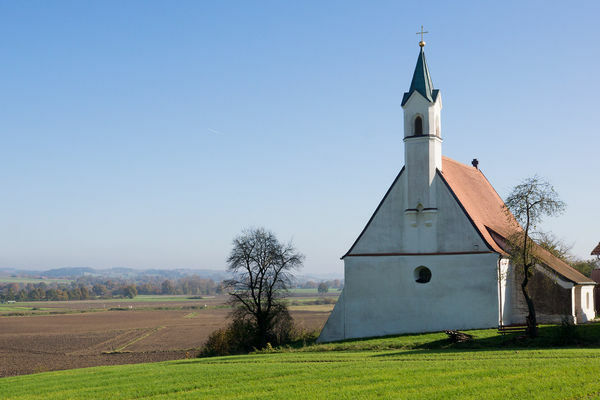 The Huckenhamer church is one of the oldest architectural monuments in Lower Bavaria. 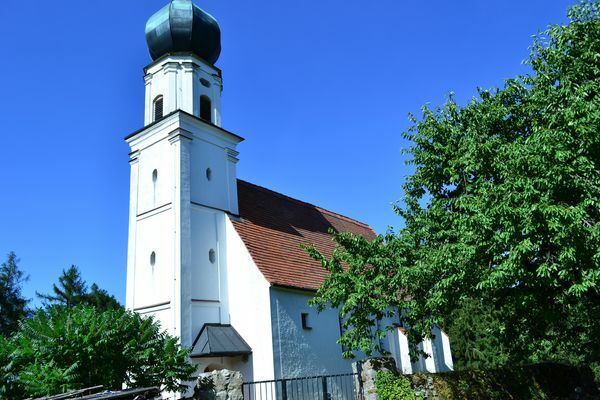 As early as around 1220 there was a castle chapel of the aristocrats of Neudeck in Schwaibach, which was dedicated to St. Peter. 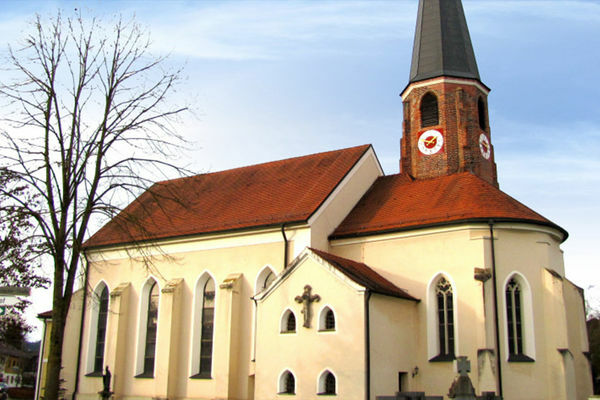 The current church is a simple Gothic building from the 14th century. 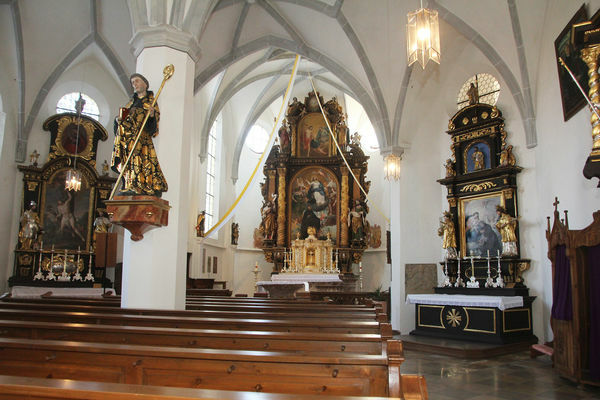 Everything indicates that knights made donations to the small church in St Veit. 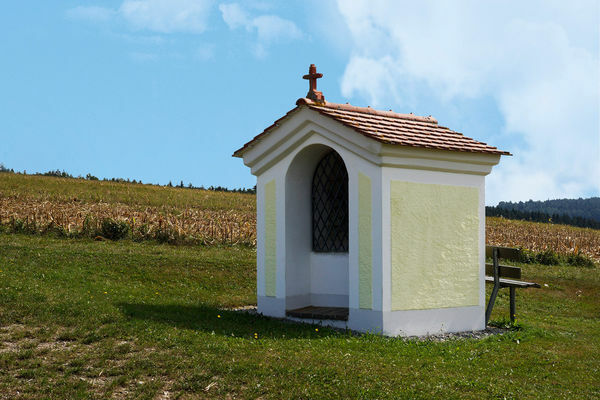 The St Hubert's Chapel was rebuilt in 1977 by the local associations in the Tattenbach valley under the auspices of the Obertattenbach Horticultural Association as a replacement for a dilapidated chapel in the "Kirchberger Moos". 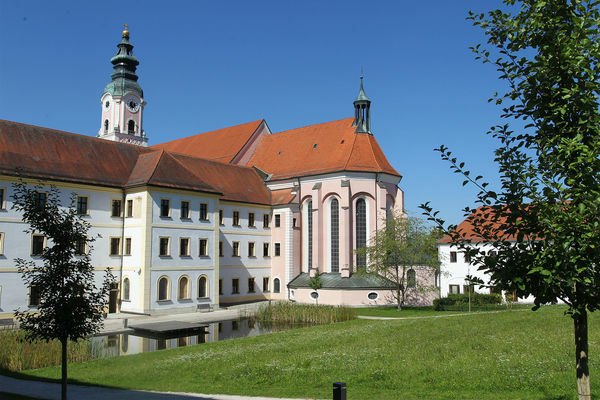 In the St. Conrad Monastery, the memories of St. Conrad the Brother of the Gates and his veneration merge with the life and work of the Capuchins as pilgrimage chaplains and guardians of the shrine. 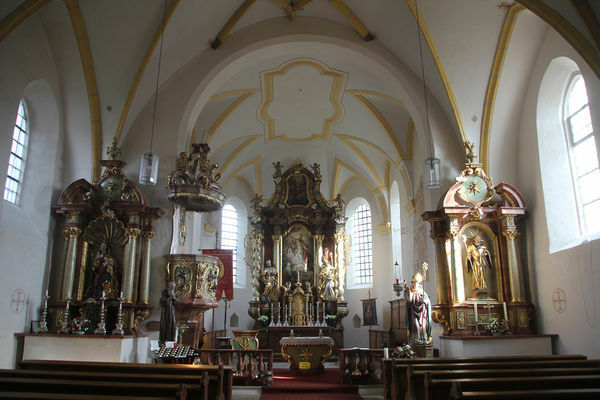 The church consists of an unoccupied choir with a yoke and three octagonal sides at the end. Sights of great historical and cultural importance await you. 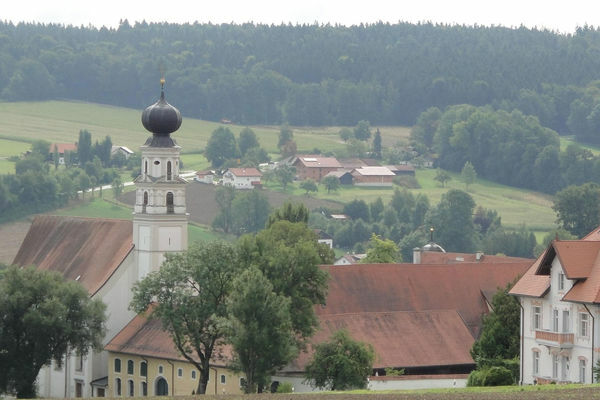 The pilgrimage was founded in 1622 by Cathedral Dean Marquard von Schwendi (cf. 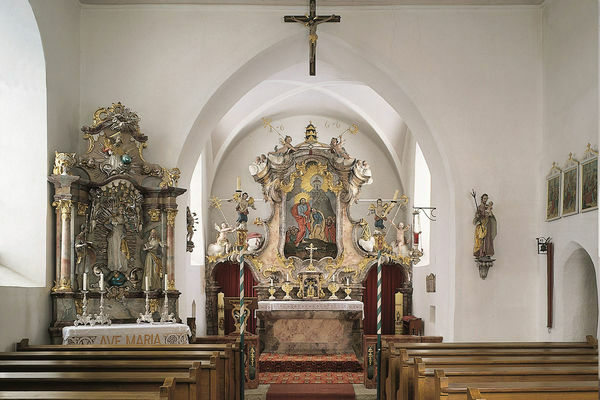 Schwendi), when he had a chapel built here with a picture of the Virgin Mary which the Passau artist Pius made in 1620 as a copy of the picture of Our Lady, Help of Christians by Lucas Cranach the Elder. 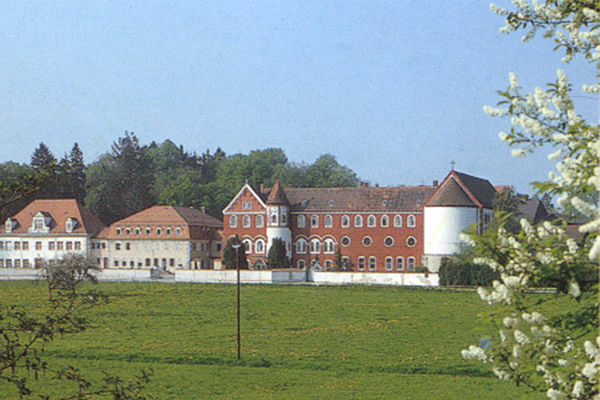 The monastery inn is in the middle of the Raitenhaslach monastery complex. 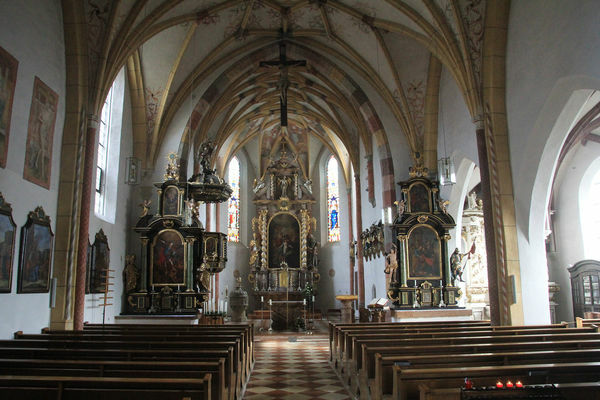 The Raitenhaslach monastery church is more than 800 years old. 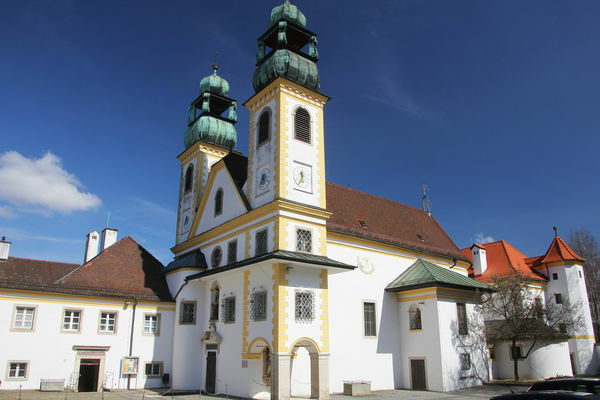 The Church of the Assumption of the Virgin Mary is the Catholic parish church of the Fürstenzell parish and former monastery church of the Fürstenzell Cistercian abbey. The sacrament niche dates from the time of its construction, the high altar is baroque. 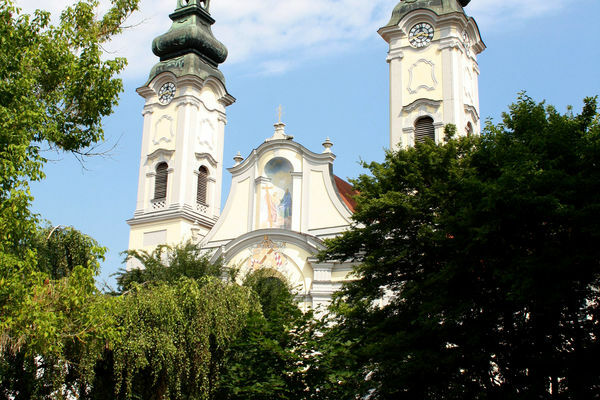 In 1695 the relics of St. Chrysanthus were brought from Rome to Bad Birnbach by Baron von Schmid. The parish church was built in the 15th century as a castle chapel. Later it was extended by the nave and the tower. 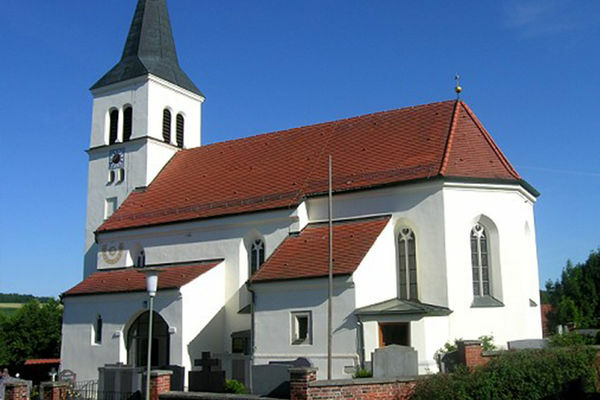 The parish church dates from the 15th century. The substructure of the tower belongs to the Romanesque-Gothic transition period. The church is a late Gothic vault from the 15th century. 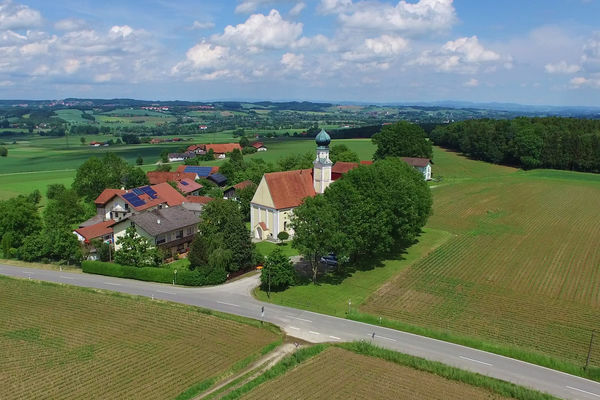 No matter which direction you approach Bayerbach from - the church tower of the St. Peter parish church can be seen from afar from all directions. 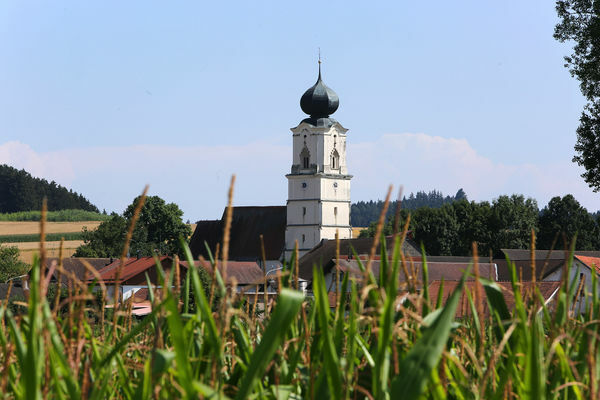 From afar, the two towers of the pilgrimage church greet every visitor of parish churches to the Mother of Sorrows on the Gartlberg. 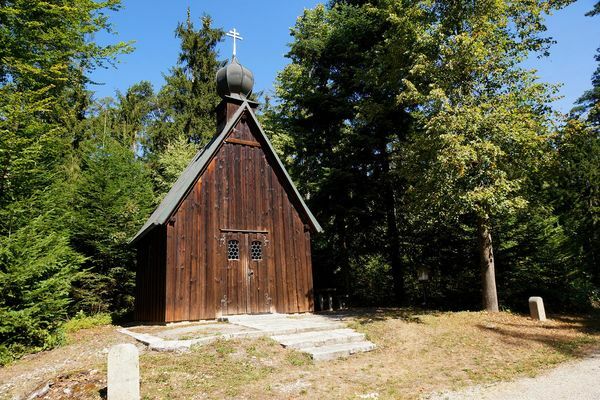 Built over a completely preserved wooden chapel from the Middle Ages stands "the oldest wooden church in Germany". The legend tells of the cruel persecution of Christians under Kaier Decius, seven young Christians, their escape from the persecutors and their two-hundred-year deep sleep. Sailors from the Inn supposedly built the early church around 1300 out of gratitude for the salvation from water shortage of St Anna. Among the treasures of the church are a beautifully-carved Virgin Mary with Child, a late Gothic group of figures of Anna herself and the high altar built in 1738. 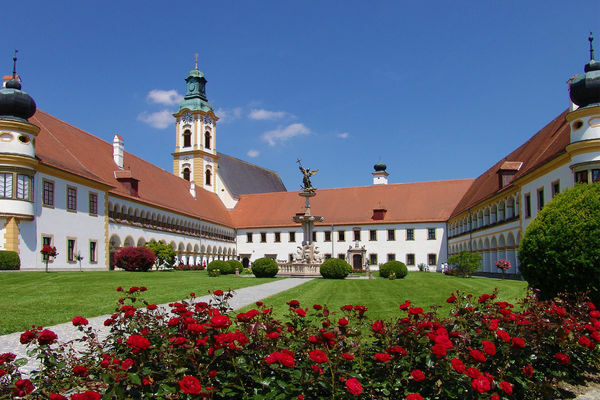 For more than 925 years the Augustinian monastery has shaped the appearance of Reichersberg. 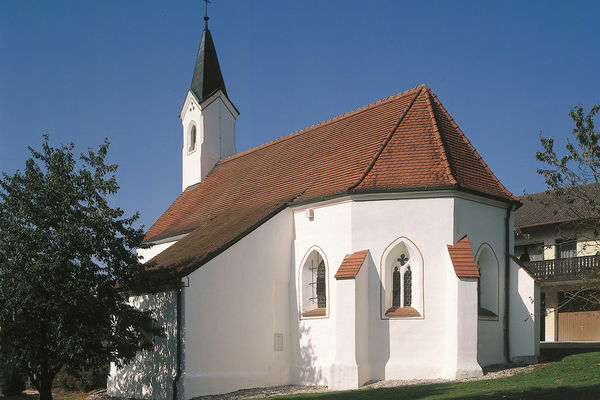 Grongörgen is one of the highest-quality and best-preserved rural churches of the late Gothic period in the Rott Valley. 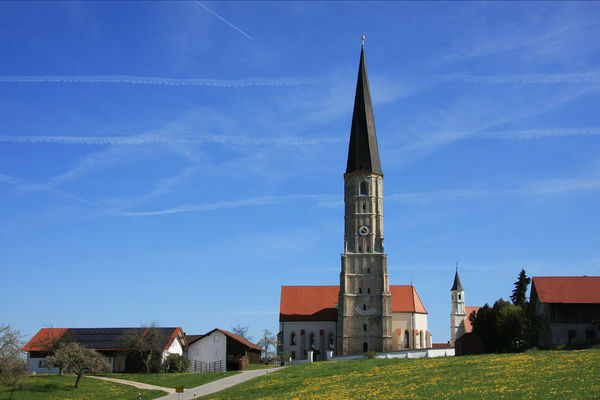 The pilgrimage church of the Visitation of the Virgin Mary at Langwinkl is one of the most famous pilgrimage churches in the Rott Valley. 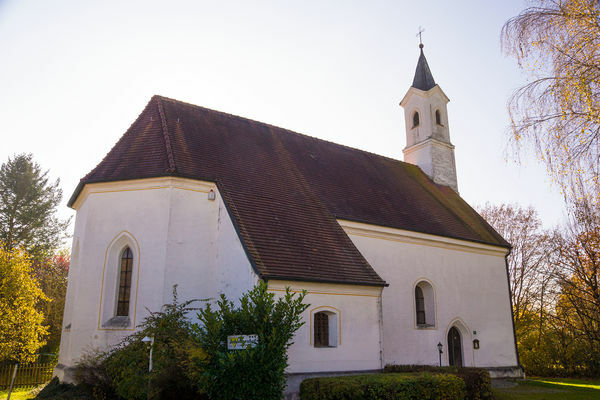 As early as 1270, a Romanesque church was built in Aigen am Inn for St. Leonhard; a later late Gothic pilgrimage church from 1460 was finally furnished in Baroque style. 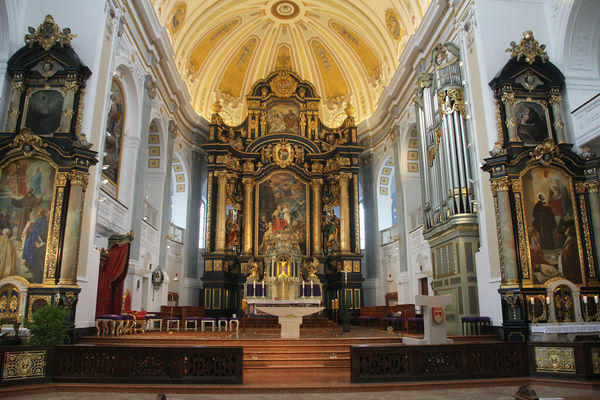 The formerly very stately Romanesque basilica was converted into a Baroque church in 1740. 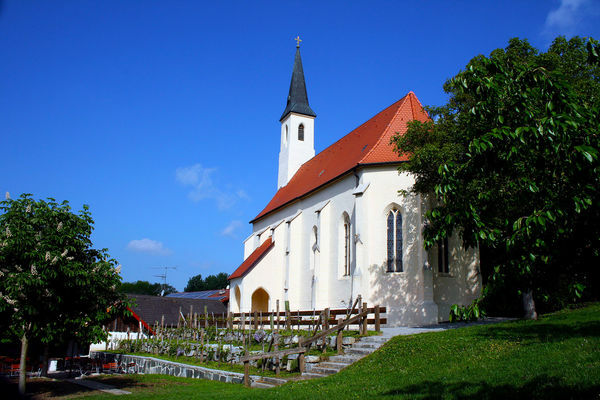 The pilgrimage church of St. Giles is a Roman Catholic branch church in the district of Schildthurn in the municipality of Zeilarn. 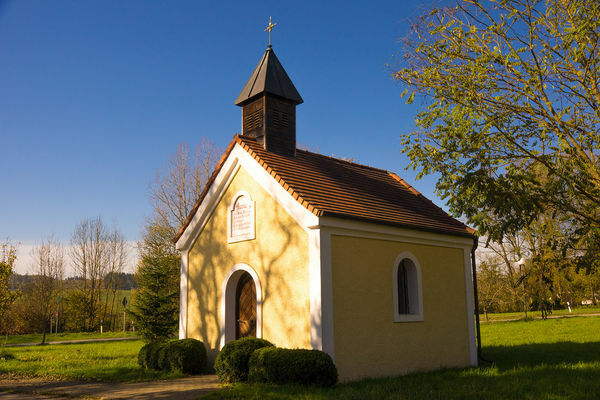 In the 19th century, Holy Brother Konrad of Parzham prayed almost daily in the chapel, because there he felt particularly close to Holy Mary.